Himachal Pradesh is a scenic state in India and is also known as- The land of snow. Himachal Pradesh is fenced between charming Himalayan peaks in North India and has extreme importance from the tourism point of view. It is home to mesmerizing lakes, snow-capped mountain ranges, prominent religious spots and waterfalls. Thus, Himachal Pradesh is a perfect tour destination for locals as well as foreign tourists that love being surrounded by nature! Kullu is one of the most popular tourist destinations in Himachal Pradesh. The town Kullu is located at the Beas River in the Kullu Valley. In Kullu, the tourists get to enjoy the picturesque scenes of snow capped mountains, mesmerizing rivers, pine and Deodar forests. Basheshwar Mahadev Temple, Raghunathji Temple and Bijli Mahadev Temple are some religious spots in Kullu. Manali is an enchanted town surrounded by snow covered mountains in the Kullu district. It is the most preferred destination for Honeymoon tours and is called lover’s paradise. You can enjoy mesmerizing natural views and visit thick forests over there. Zorbing and Paragliding in Manali are must do activities. Shimla is the capital city of the state Himachal Pradesh and probably it is the most popular Indian hill spot for honeymoon and family trips. The city offers enchanted mountain views of Himalayan peaks, lush greenery and lakes. Shimla is the best tourism point that attracts tourists all round the year. Jakhoo Hill, Simla State Museum, Summer Hill and The Ridge are some popular places to visit in Shimla. Dharamsala is popular for gorgeous sightseeing locations and it is also famous among tourists for the presence of Dalai Lama residence. It is situated in Kangra Valley and is covered by hills and dense deodar cedar trees. According to the different altitudes, Dharamsala is separated in upper and lower division. This hill spot has a lot to offer to the tourists. Kasauli is actually the cantonment hill spot which is situated on the way of Chandigarh to Shimla and fenced by beautiful Himalayan hills. It is a small tranquil hill station where tourists can have a relaxing getaway in the lap of nature. Sunset Point, Christ Church, Dagshai, Gurkha Fort and Timber Trail Resort are main attractions of Kasauli. Dalhousie is situated in western Himachal Pradesh and this beautiful hill station houses mesmerizing sightseeing locations. Beautiful hill views, lakes and the scenes of pine, oak and deodar forests create heart throbbing atmosphere for nature lovers. Various adventurous activities are also offered by Dalhousie. Dainkund Peak, Panchpula, Bakrota Hills and Ganji Pahari are main attractions in Dalhousie. Khajjiar is yet another gorgeous hill station situated near Dalhousie and is known as the ‘Mini Switzerland of India’. It is a perfect tourism point with mesmerizing scenes of tranquil lakes, forests and pastures. Khalatop Wildlife Sanctuary amidst the oak trees and coniferous trees offers a glimpse into wild life and you get to see Deers, leopards, jackals and many other animals over there. Mount Kailash view from Khajjiar is definitely the best thing you will ever see. Mcleodganj is a prominent hill spot located near upper Dharamshala and it is popular for its trekking routes. Mcleodganj is surrounded by snow-capped Dhauladhar peaks (Mountain chain in India). This hill spot is a perfect tourism destination for natural, spiritual and adventurous tour. 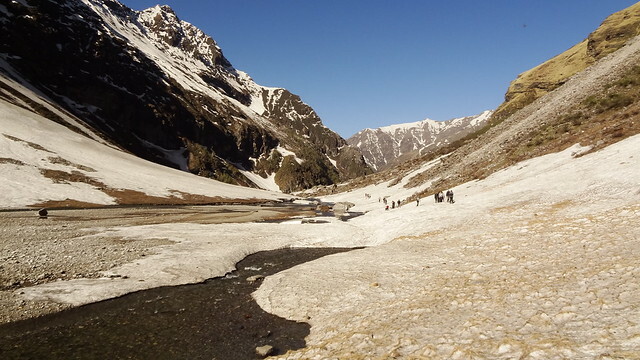 Chamba is a lovely hill station in Himachal Pradesh that has a lot to offer to the tourists. It is home to heart throbbing mountains, lakes, temples and even monasteries. Chamera Lake, Manimahesh Lake, Chamba Central Park and Church of Scotland are some popular places to visit in Chamba. Chamba houses one of the largest monuments- Rang Mahal. Kufri is located in the District Shimla in the Indian state of Himachal Pradesh. This hill station is surrounded by the mesmerizing Himalayan peaks and offers scenic views almost throughout the year. Apart from picturesque views, Kufri is also known for trek routes among adventure lovers. In February, an annual winter sports festival is organized in Kufri . A passionate blogger, content writer and SEO freelancer. Thanks for your great post! You are able to capture the essence of the places you are describing. One again, I am transported to these exotic destinations through your posts. Keep it up!